It’s beginning to look a lot like Christmas…. – Journey to my heart…. Not because of the snow but because I spent the night with my sister and brother-in-law and their three children. It was the evening we all love and enjoy….an evening that invites all of my senses to experience Christmas fully! It was the packaging and paper, the music from Peter playing the piano, reflecting on the Christmas story, the smells and tastes of the appetizers…. 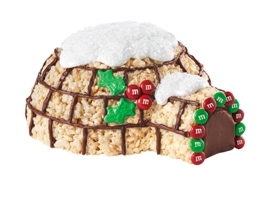 It was the very cool Rice Krispies Igloo made by Peter and Suzi…. It was the ooh’s and the aah’s….it was the sweet spoken words of “I was hoping for this” and the sparkling eyes…. It was the hugs and the kisses, the thank you’s and the desire to play, play, play….. It was a beautiful night where I am reminded of how blessed I am…. 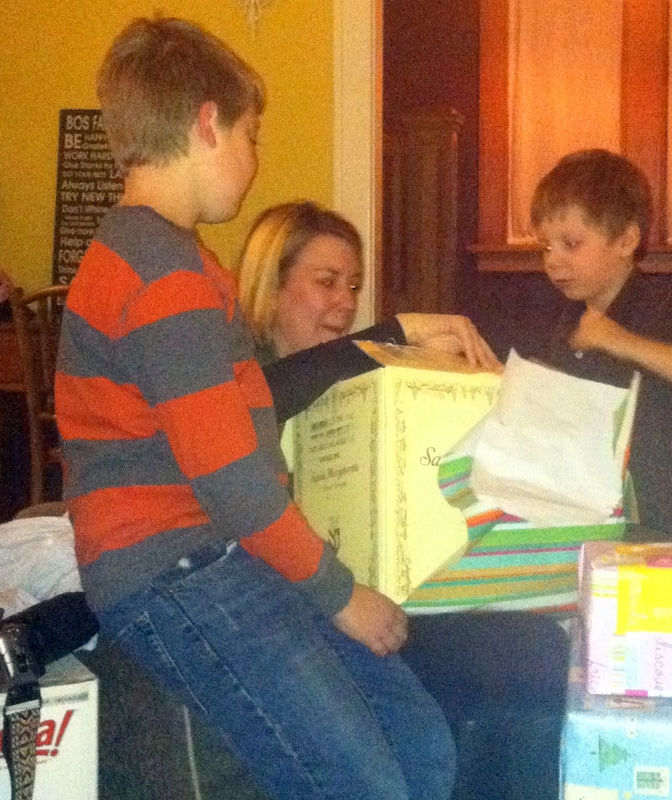 It was a beautiful night where I am reminded how much fun it is to give…. It was a beautiful night where I am thankful for the miracle of Jesus and the celebration of rituals and traditions…. It was a beautiful night….and it is just the beginning. Stay tuned for more updates from a full family Christmas on Saturday!